We’re writing because you have a credit card on file and want to inform you of a recent change that may increase the cost of purchasing digital currency with a credit card. Recently, the MCC code for digital currency purchases was changed by a number of the major credit card networks. The new code will allow banks and card issuers to charge additional "cash advance" fees. These fees are not charged or collected by Coinbase. These additional fees will show up as a separate line item on your card statement. The move came as a number of bank and card issuers announced that they would be reviewing changes to their policies around the purchases of crypto assets using credit cards. Then, last Thursday the Wall Street Journal reported that Capital One banned customers from using credit cards to purchase bitcoin or coins on the Ethereum blockchain, citing “limiting mainstream acceptance and the elevated risks of fraud, loss and volatility.” Discover Financial announced it would likewise block bitcoin transactions. Then yesterday, MarketWatch reported that Bank of America and other major lenders are assessing the use of credit cards to purchase bitcoin and other virtual currencies, which could result in restrictions or limits. Today that was confirmed when Bank of America became the largest U.S. lender yet to bar customers from using their credit cards to buy cryptocurrencies. According to an internal memo to employees obtained by Bloomberg, the second largest US bank said it “will begin declining credit card transactions with known cryptocurrency exchanges” starting today. It said the policy will apply to all personal and business credit cards issued by the bank. Betty Riess, a spokeswoman for the Charlotte, North Carolina-based bank, confirmed the bank will no longer allow the transactions. 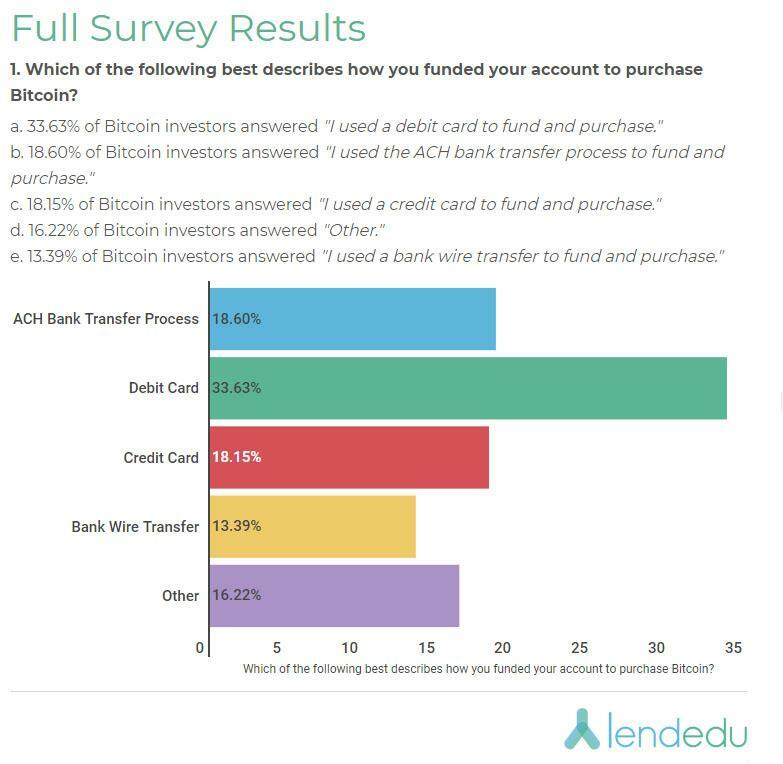 As a reminder, a recent LendEdu survey revealed that just over 18% of bitcoin purchases were made using a credit card. The good news: 82% of all crypto purhcases were not made using a credit card.